Win Toolkit, formerly Windows 7 Toolkit, is designed to help you integrate your Updates, Drivers, Theme Packs, Tweaks, Wallpapers, Addons, SFX Installers, Gadgets and remove the things you don’t want from your Windows installation disk. Win Toolkit is the first program of its kind to integrate your favourite programs into your Windows installation disk! It features an All-In-One Tool, Component Removal, AIO Disk Creator, ISO Maker, Registry Hive Editor, SoLoR SP1 Updates, USB Boot Prep, Unattended Creator. 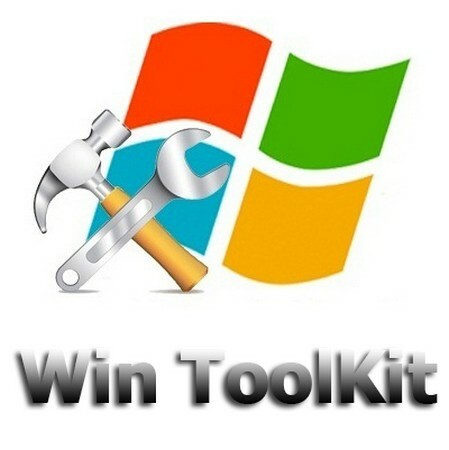 Win Toolkit also features tools like Addon Maker, Update Retriever, CAB Update Installer, Capture Image, Force Unmount, Language Pack Converter, MSP Extractor (MS Office), MSU to CAB Converter, SWM Merger, WIM Manager, WIM Splitter, and lots more. • All-In-One Integrator. This is the greatest tool in Win Toolkit, it’s let you integrate, Addons, Remove Components, Drivers, Gadgets, Language Packs, Edit Services, Silent Installs, SFX, Theme Packs, Tweaks, Updates and Wallpapers! • ISO Maker. This is what it says on the tin, it creates your ISO file for you to burn! Now supports UEFI! • Win Toolkit Guides. A nice direct link to guides on how to use Win Toolkit. • SoLoR SP1 Updates. SoLoR works very hard and providing ALL the updates released since Service Pack 1 so he should get credit for this, this little tool lets you easily download his updates which Microsoft has released via Windows Updates but more importantly which Microsoft has also released privately and which are not released via Windows Update. • Windows 7 SP1 ISO. Provides the link to a completely free, legal and official download source to the Windows 7 SP1 DVD. Note, you will still need your own serial key. • Unattended Creator. Creates an Unattended file which you use to install Windows with, just create and make sure you place the new file in the DVD root. • USB Boot Prep. Prepares your USB stick so you can install Windows from it, obviously your computer needs to support USB booting! • WIM Manager. Manage and edit your install.wim, for example you can rename images, delete images, add new ones, create ISO, rebuild, mount, unmount, etc… You can also use this tool to integrate your unattended files. • All-In-One Disk Creator. This tool let’s you combine all your WIM files into one DVD, this is most commonly used is to merge x86 and x64 disks. • Component Removal. This program let’s you remove over 100 components which comes with Windows, some of them are Internet Explorer, IIS, Windows Media Player, Sample Pictures, Tablet PC components, etc… I am also planning on adding some more eventually. • WIM Registry Editor. This tool mounts the wim and then it’s registry so you can add your tweaks into that image! • Language Pack Converter. Converts Langauge Packs which are in the exe format to cab so you can integrate them. • MSP Extractor (MS Office). Converters Office Updates to msp so they can automatically install when you install Office. • MSU > CAB Converter. Converts MSU to CAB files so you can integrate them or install on your current OS via the CAB Installer. • Driver Installer. This will install drivers on your currently installed system using pnputil.exe, it will only install the drivers you need.This tool also lets you uninstall drivers too. • Update Installer. This will install updates on your currently installed system, probably mostly used by those who use SoLoR Updates. This tool also lets you uninstall old updates too. • SWM Merger. Merge *.swm files into a larger *.wim file so it can be edited. • WIM Splitter. This tool splits your install.wim into multiple files so you can fit them onto multiple CDs. • Capture Image. Captures new WIM images, so you can use that new image to install Windows. • Addon Maker. This tool is for advanced users to create .WA files which other users can use the All-In-One Tool to integrate into your image. • CAB Retriever. When Windows Update downloads updates, the cab files get left in a folder. This tool retrieves those files so you can integrate them.